All the rooms and suites of Palazzo Ridolfi respect the historicity of the Palazzo that houses them, the details and modern comforts create a unique mix that will make your stay in Florence perfect. All our rooms and suites are non-smoking. 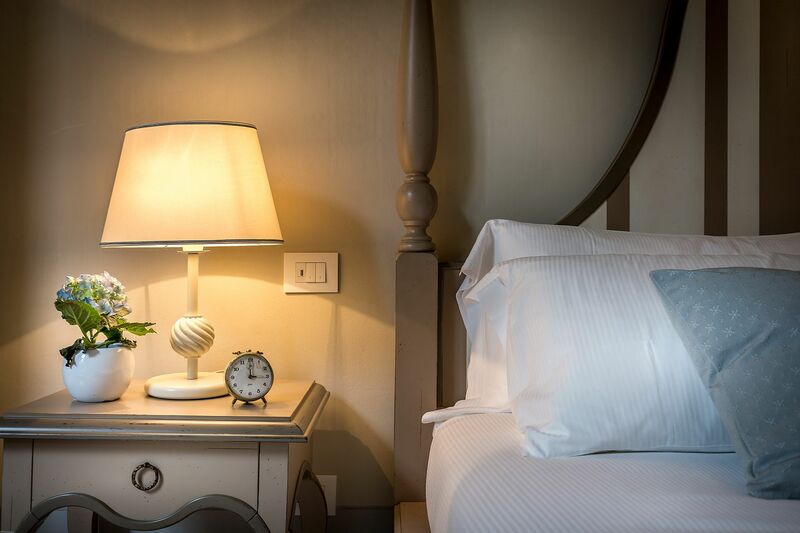 Children up to 2 years stay free in parents ' bed or baby cot available on request at time of booking (extra fee €15 per day). 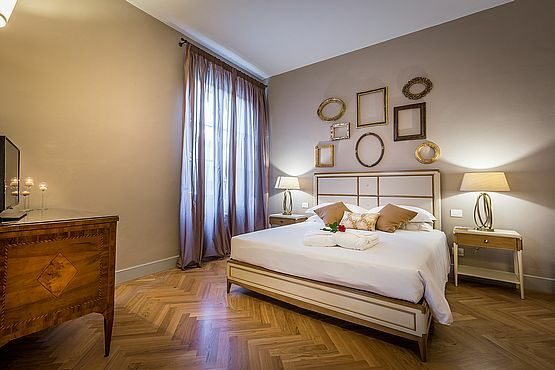 Comfortable, bright and silent, they are perfect for discovering Florence and its beauties. 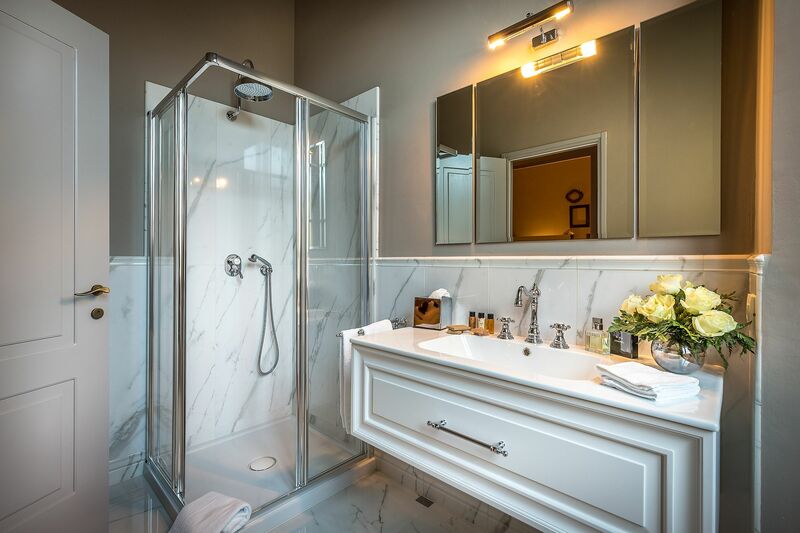 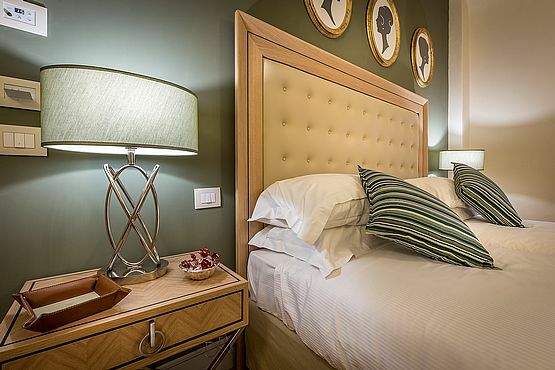 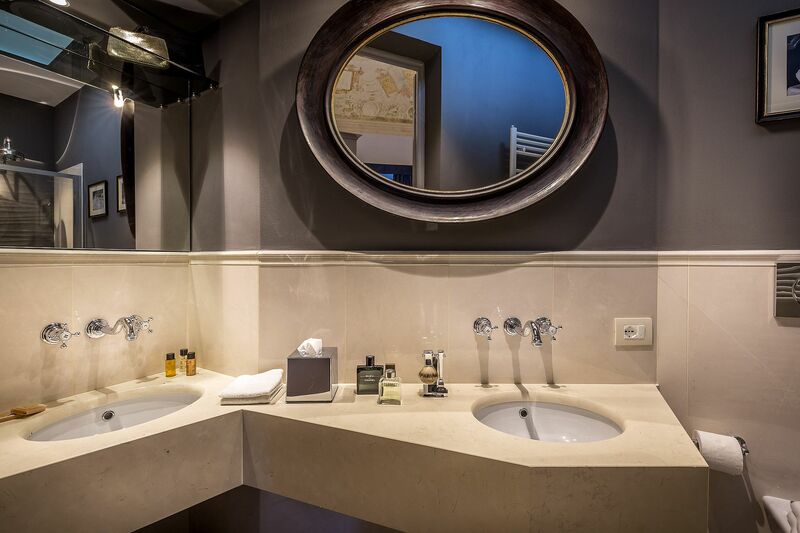 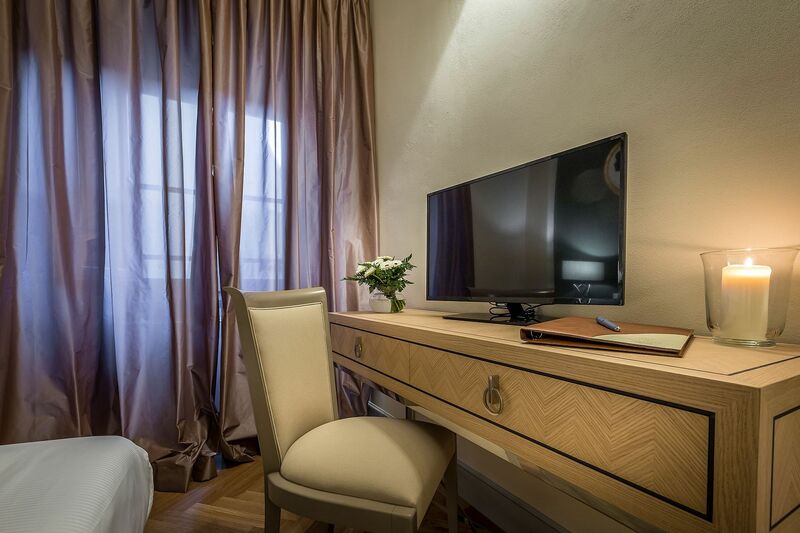 The details that enhance them will make your stay in our period residence even more special and unique. 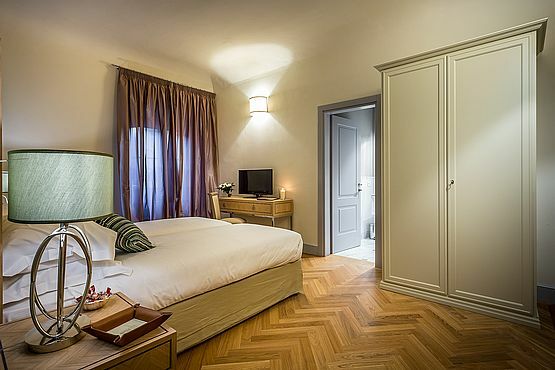 Spacious, airy and design our Superior Room is suitable to comfortably accommodate up to 3 people, the furniture is ad hoc design and a beautiful brightness will make you relax from the first moment. 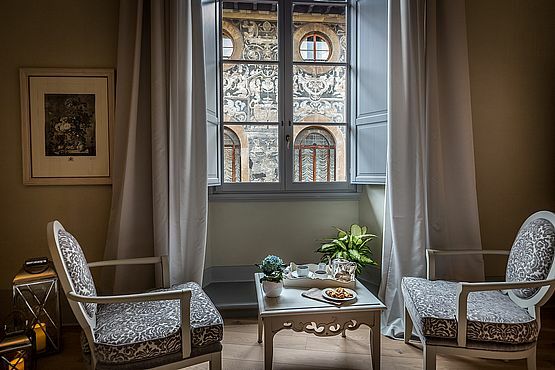 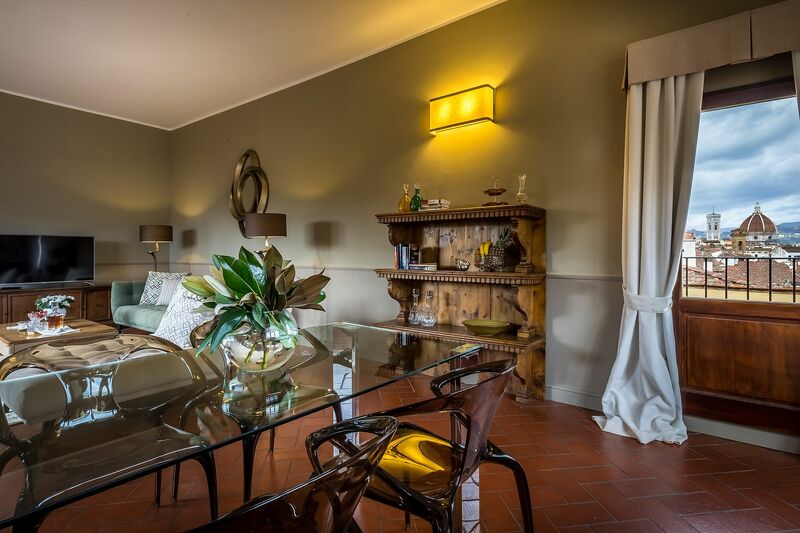 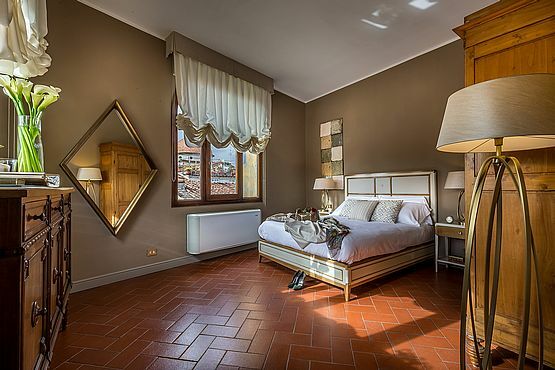 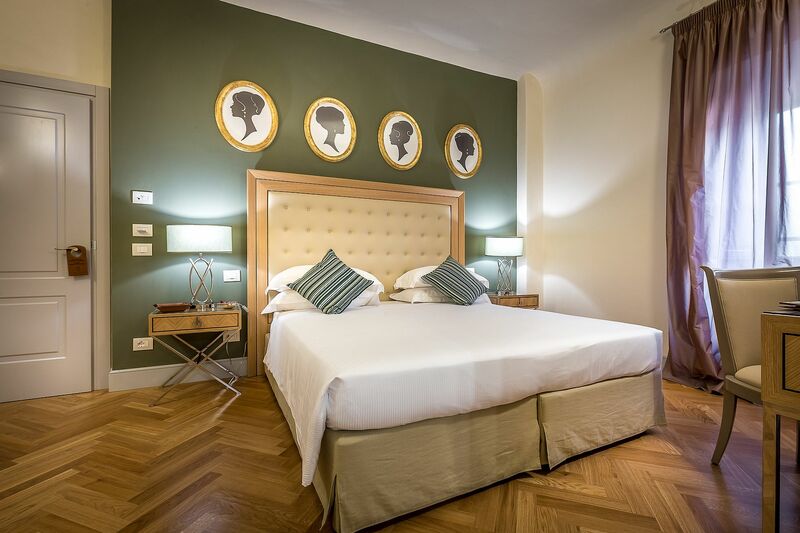 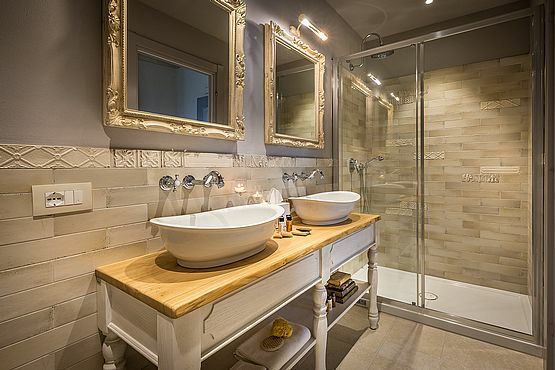 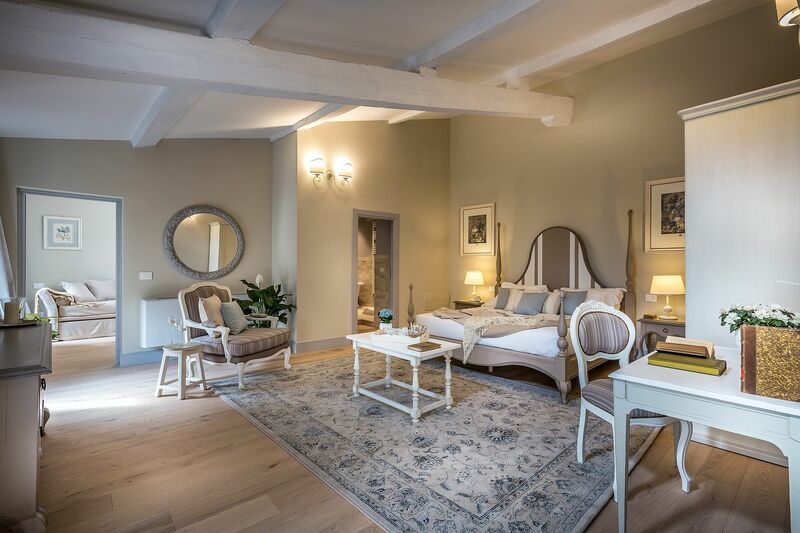 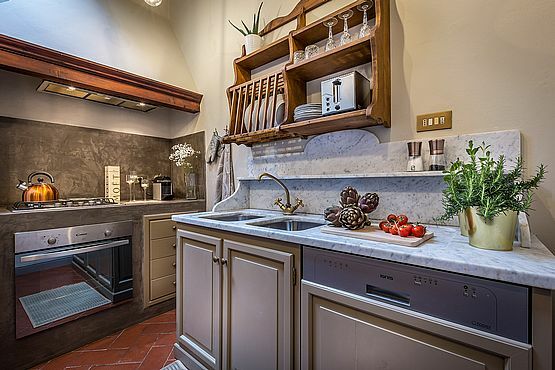 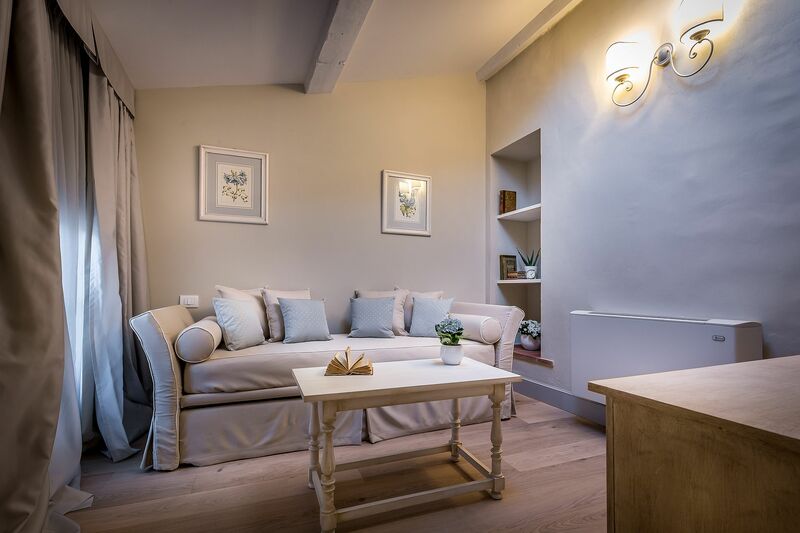 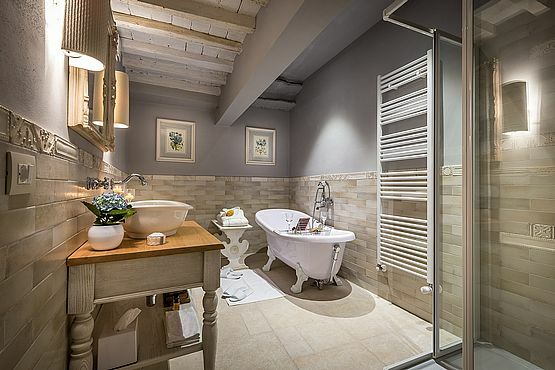 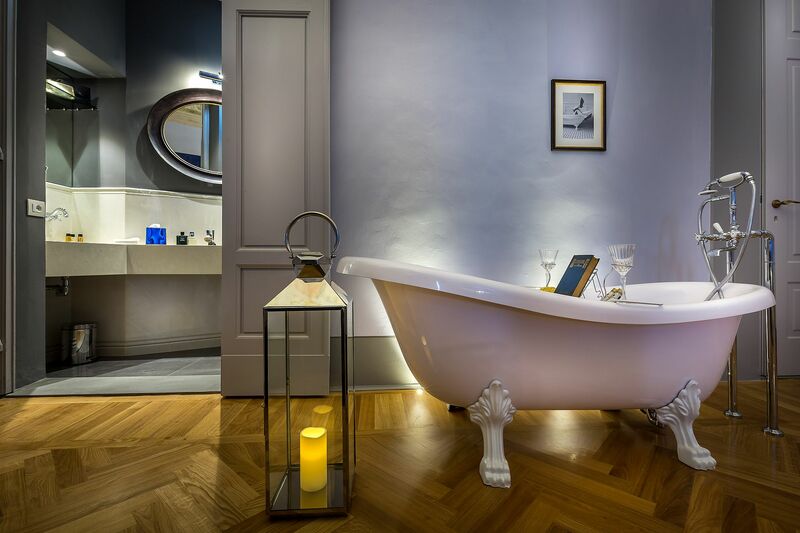 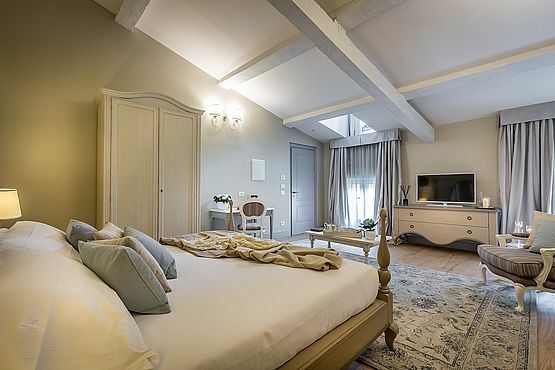 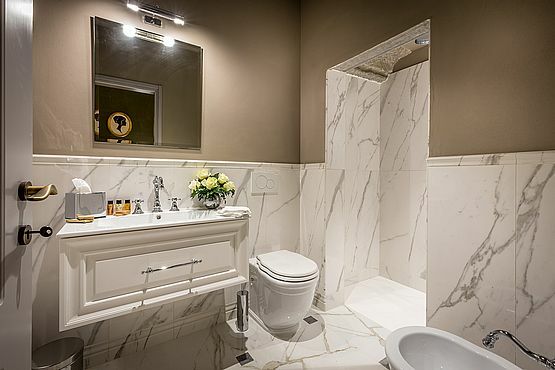 Fall in love with this Suite, spacious, full of details, it will transport you immediately into the history of Florence thanks to the beautiful fresco that dominates the ceiling and the beautiful view of the Palazzo Bianca Cappello that you can admire while sitting sipping a great espresso. From the first moment you will be pleasantly surprised by the spaciousness of our Prestige Suite that can comfortably accommodate up to 4 people, the sleeping area is separated from the living area where you can relax reading a book or looking at the pictures of your day. 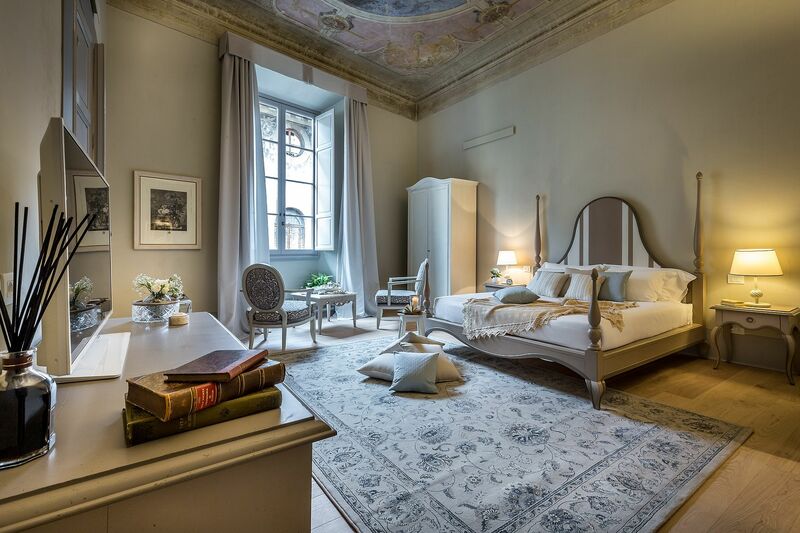 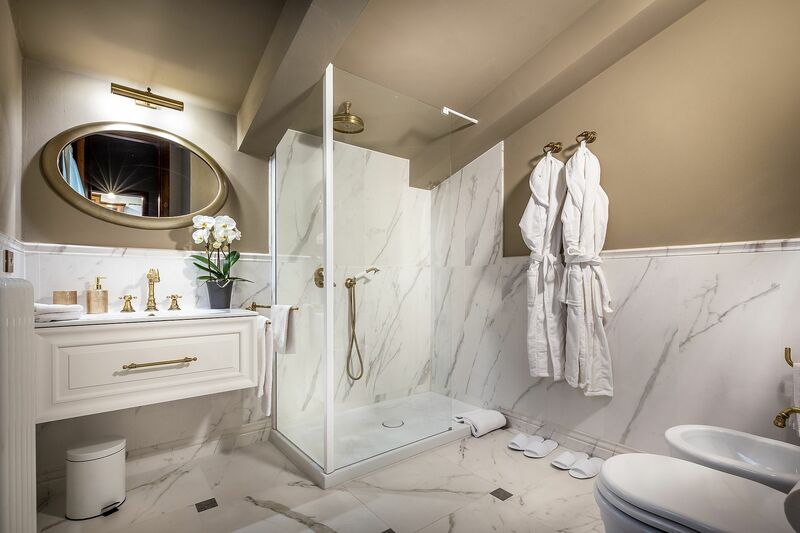 Ridolfi Suite and Royal Suite are the pride of our historic residence, the beautiful and authentic frescoes that enhance them will immediately transport you into the Renaissance, the modern design and attention to detail will ensure your stay is unforgettable. The stairs you climb to reach our Luxury Apartment will take you straight to heaven... a bright and spacious open-plan living-dining room with a unique view over the city, make a 360° turn and you to begin to discover the wonders of Florence. 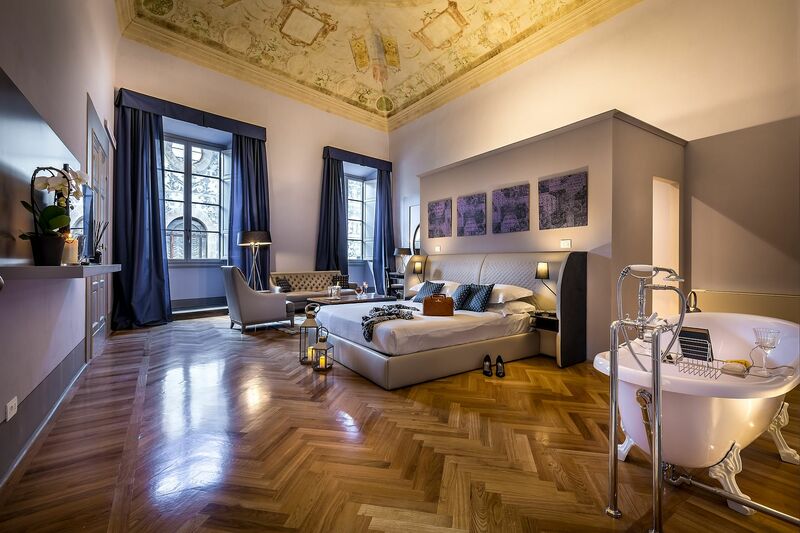 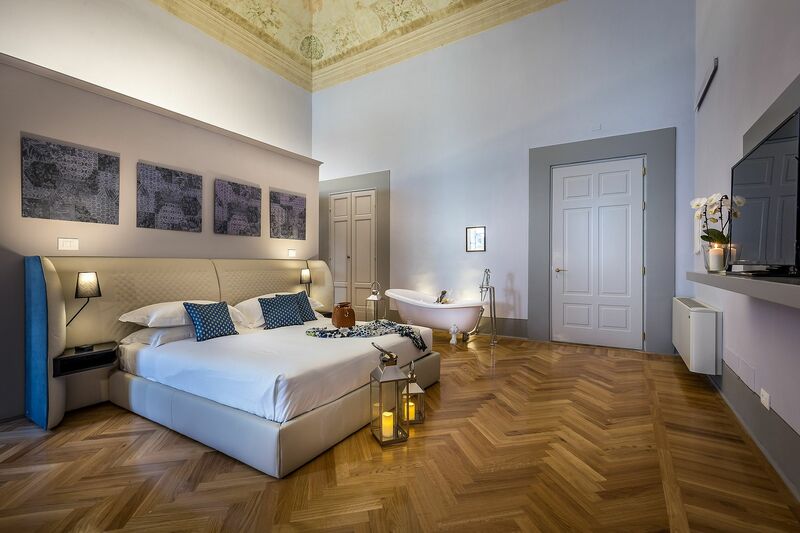 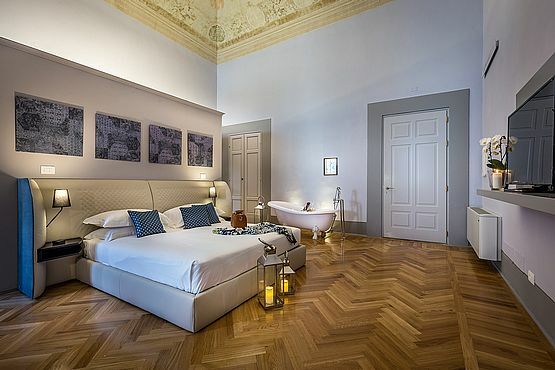 From the bedroom you can admire Palazzo Pitti and the Dome of the Church of Santo Spirito. 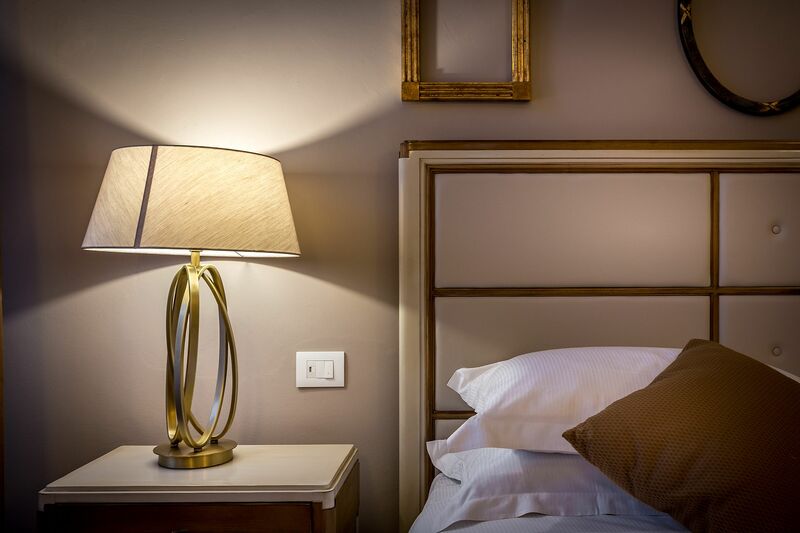 You will feel at home from the first moment.